Good businesses are always looking for strategic ways to save money. Whether you’re an office manager, the company controller, or even the owner of your business, you know that new furniture can be extremely expensive. And for that reason you may be considering used office furniture. Whether you’re opening a new business, or making the decision to expand your established business, calculating all of the costs associated with the project can be overwhelming. That’s why more and more people are turning to used furniture to save money when furnishing their offices. 1) Used office furniture is reliable. Unlike typical used residential furniture that has seen many years of use in someone’s home, most used office furniture is made up of floor models. Because of this they tend to have minimal wear and tear on them which makes for used furniture that is very reliable. 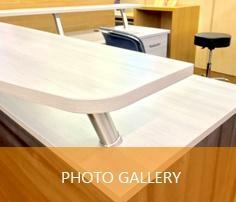 When you opt for used office furniture, you’re often getting items that will last you years. The truth is that many buyers cannot distinguish between used and new furniture and, in fact, used office furniture is often available in mint condition. 2) It is much more cost effective. Sometimes used furniture is only a quarter of the cost of new furniture, which will allow a business owner to pay far less while giving their office the professional look they desire. It’s been shown that start-up companies, for example, can often save as much as eighty percent over the cost of brand new furniture. Most used office furniture often shows up as office store floor models, manufacturer’s discontinued or overstocked product lines, or from companies that have gone out of business or outgrown their previous office furniture. Consequently, the prices are usually very low. 3) Used furniture is often delivered faster than new furniture. Oftentimes buyers may find out they have to wait weeks, or even months, to receive the new furniture they purchased for an office. On the other hand, much of the available used office furniture can be delivered in about forty-eight hours and sometimes even less. 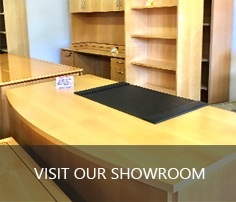 Unlike new office furniture, used pieces are usually work-ready at the moment they arrive with no need for assembly. And because used furniture often comes from many different sources, your choices are often far wider than with new furniture, as well. 4) Buying used furniture is better for the environment. Good used furniture that doesn’t get re-sold is often sent to landfills. In fact, many businesses tend to dispose of their used furniture this way since they don’t want to take the time an effort to sell it themselves. But much of the used furniture is in good condition when it is replaced and can easily be refurbished to look as good as new. Many vendors make it a point to provide used office furniture to their customers not only because it makes good business sense, but also because of their commitment to recycling and “re-purposing” usable office furniture. Buying used furniture for your business allows you to do good for yourself as well as for the planet! Buying used office furniture for your business really is a fiscally strategic move, as well as a practical one. The purchases you make will have a beneficial impact on your company’s bottom line while serving the pressing needs of your office environment, employee comfort and overall productivity. It helps to know that your decision to opt for used items as opposed to new pieces is supported by these strategic advantages. And you can be sure that you have made a sound choice. If you have any questions or would like more information about our used office furniture please Contact Us for immediate assistance!